Welcome to Barrel House Vineyards in Sonoma County’s beautiful Dry Creek Valley. Surrounded by manicured lawns and lush gardens the Barrel House is the perfect choice for a vacation getaway or an extended stay. Over the years the single room barrel storage building has been expanded time and time again, culminating in today’s beautiful Barrel House. Barrel House is located in Healdsburg’s beautiful Dry Creek Valley, just minutes from downtown, world class restaurants, wineries and shopping. Enjoy the heart of wine country in a spacious restored historic farmhouse offering elegant amenities on a private vineyard property. With over 2800 square feet of living space Barrel House sleeps 8 adults with plenty of room to move around on your private vineyard setting. We look forward to welcoming you to Barrel House Vineyards! Spices, condiments, olive oil, etc . The outdoor salt water pool has solar heat. The solar is generally turned on late April and turned off mid November. Barrel House welcomes you with beautiful hickory wood floors, a spacious living room with coved redwood ceiling and massive stone fireplace, a large dining room, and fully-equipped gourmet, wine country kitchen with table service for 12+. French doors open to a large redwood deck with views of Dry Creek Valley and hillside vineyards. Broad steps lead down to an 8-person hot tub, spectacular salt water swimming pool, spacious lawns, shaded grape and wisteria gazebo and a seasonal creek. On the main floor, you’ll find the living room with large wet bar, dining room, kitchen and two large bedrooms furnished with king sized beds. Picture windows in each bedroom overlook the Barrel House vineyards, pool and grounds. The main floor also has two full baths, a powder room and laundry available. Stairs to the lower floor lead to the family room with wet bar and large flat-screen TV, a full bathroom and a third bedroom with a queen sized bed plus 2 twin beds. I stayed at the Barrel House with my wife and two other couples over President's Day weekend and we left our stay all in agreement that we'd like to stay at Barrel House again. The weather was not great so we could not spend much time outside, no fault of the property, but the grounds are beautiful and well maintained. We could only imagine how nice it must be in the warmer months around the pool. The bedrooms are all good size and the beds very comfortable. There are multiple zones for heating and cooling which means the entire house stays comfortable even when it's cold outside (it got down to the 30s when we were there). The family room with the fireplace is what we enjoyed the most. Six people could relax comfortably next to the fireplace which was really enjoyable after a day of wine tasting. We also enjoyed the kitchen/dining room setup and how open it was. The kitchen is stocked amazingly well with spices and cooking items. The only minor critiques are that the ice/water machine in the kitchen refrigerator did not work so we had to buy bottled water. Not a big problem since we went to Big John's Market nearby for supplies everyday anyway, Also we wanted to sit outside around the fire pit one night but were told we could not turn it on for liability reasons. Was a little frustrating since that was one of the selling points of the house for us. We did really enjoy spending time by the fireplace inside though. Overall, we had a wonderful time and plan to stay at Barrel House again. Had an amazing time with our family staying here. Plenty of room, very well stocked home to cook dinner each night. Totally recommend! The Barrel House is perfect. All the amenities. The location is great. Many wineries just around the corner. Would highly recommend this house for a great time in the Dry Creek Valley! 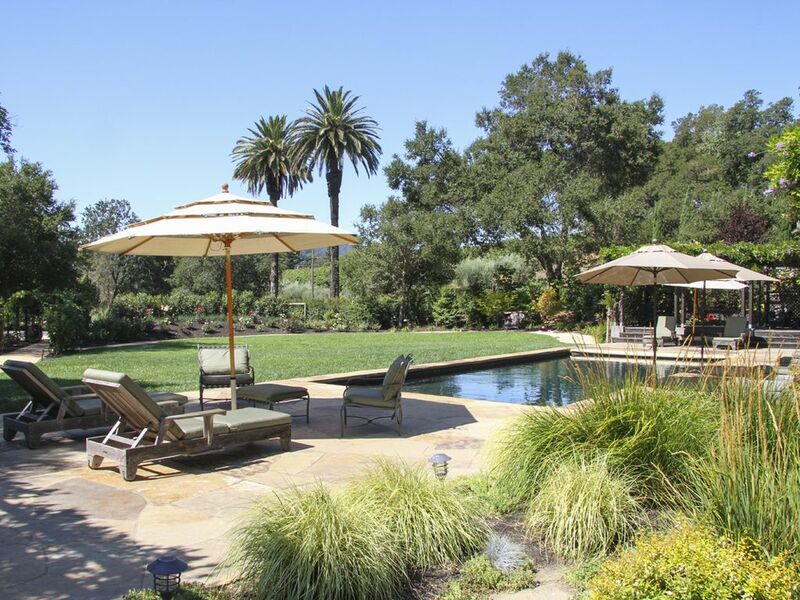 Amazing property in Sonoma Wine Country! What an amazing property! We had a wonderful time with our friends and there was extreme thought out into every detail of the house and grounds which made it easy to cook, entertain and relax! Great set up in a great location. Has everything you would want for your vacation with the pool, lawn area and spacious well laid out house. Our family of 5(all adults)spent a week in this lovely home. The grounds were gorgeous and so peaceful. Plenty of room for us all to have our own space when needed. The pool was the best; it was great to be able to hang out there in the afternoons. Quite refreshing and relaxing. The kitchen is stocked with everything and more that you need. The house is an easy drive into Healdsburg, which has great restaurants and super nice people. Pam, the house manager, was very helpful and was there anytime we needed. You truly feel like you are a guest staying at a friend's house. A few things need to be updated but overall it was great.